What is Christian baptism? Is it, as many believe, a mere symbol? When should someone be baptized? 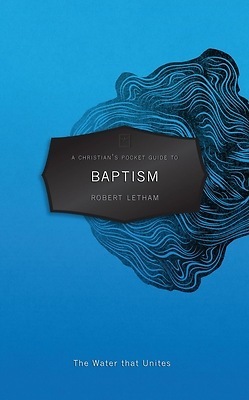 In A Christian's Pocket Guide to Baptism, Robert Letham answers such questions from Scripture. He reflects sensitively on historic Christian teaching and avoids the extremes that often mark discussions of this subject, making this a book for everyone. Letham's plain talk will not leave beginners bemused, nor will it frustrate those who want to make real progress in their theological understanding. It is a 'tragedy', says Letham, that Christians should think of baptism as 'the water that divides'. The sign of our union with Christ should unite Christians, not least because it does not focus on our actions, but on God's mighty deeds. Baptism belongs to him. It must always be administered in connection with faith, yet that does not mean Christians do anything to receive or to earn baptism. They are to be baptized solely because of God's gracious promises.